If you read my previous post (Motorcycles and Me: Historical Perspective), you know that after struggling with bikes that weren’t quite suited to my riding style/ability, I have found myself with unprecedented freedom from both family responsibilities and well-intentioned but misguided marital pressure, and now I can finally open myself to the right choice. 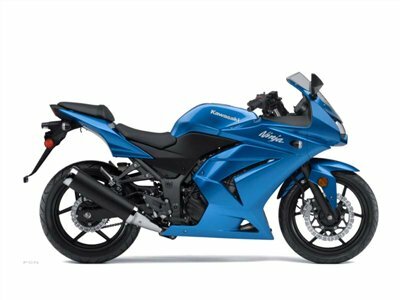 Coincidentally, Kawasaki introduced their 4th Generation 250 Ninja in 2008, the same year I was actually able to consider riding again. The reviews were phenomenal. 250? Really? I had never ridden anything smaller than a 700 (if you don’t count the Suzuki DR350 dual-purpose bike I owned for a while). Off we went to the San Mateo bike show in Nov 2008 – my sole agenda was to investigate this bike. I sat on it, I loved how it felt. But I also discovered the ER-6N. Huh? A 650 UJM (Universal Japanese Motorcycle) with about the same seat height as my beloved (on paper) 250? I wasn’t expecting that. This, too, had real potential to be the perfect bike. But no decision was forthcoming – too many other priorities. We went back to the San Mateo bike show in Nov 2009. Same bikes (plus a couple of Suzuki options) – still no decision, wasn’t ready yet. Then, in July 2010, the recession hit the bike shops for real and the sale prices started appearing. 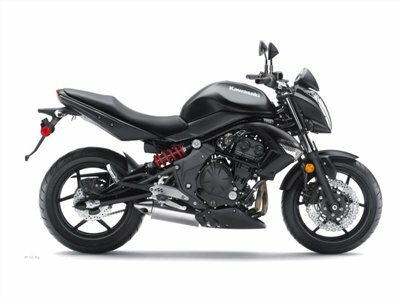 The dealer mark-up I had previously seen on the tremendously-popular 250 Ninja began to disappear. And then, there it was: my local dealer was advertising sale prices on both the 250 Ninja and the ER-6N. Time to pounce. We showed up on Saturday morning. I announced that I would be buying one or the other, and that I intended to test drive both: the 250 to see if I could stand it on the freeway, and the 650 to see if I could stand it on city streets. Those of you who have never bought a new motorcycle may not realize that test drives aren’t assumed the way they are with cars – dealers tend to have special “Test Ride Days” and don’t usually offer them routinely. But I was armed with my M-1 license, my motorcycle insurance card, and suitable helmet/jacket/gloves. Given the economy, and the fact that I was prepared to write a check, I was not to be denied. I rode both bikes twice. The 650 was pretty good, the 250 was nearly perfect. What the 250 lacked in power and freeway oomph, it made up for in nimbleness and immediate comfort zone. The 650 was everything I had ever had in a bike before – not terrible, but disconcertingly too much. Been there, done that. I don’t tour anymore, I don’t ride long distances anymore, and I don’t do the Sunday Morning Ride anymore. I spent about an hour trying to convince myself that the 650 was OK and failed. 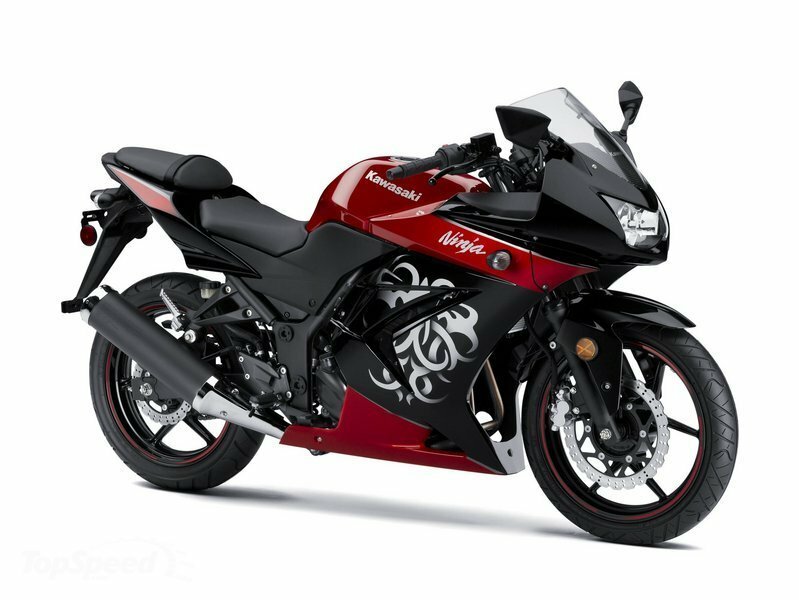 Bonus, the 250 was the Special Edition – with a $200 graphics option. At first, I didn’t like it, but it quickly grew on me. Decision made – the 250 is mine! Next up: Farkles for the Ninjette!!! This entry was posted on Saturday, July 10th, 2010 at 5:43 pm and is filed under Motorcycles and Me. You can follow any responses to this entry through the RSS 2.0 feed. You can leave a response, or trackback from your own site. My boyfriend back in high school/college had a (Honda) 350, which was plenty of bike for me. I briefly dated a guy with a Honda 150. Felt like I was on a kiddie toy. THAT’S a 250? Looks GREAT! have something to add to the discussion. It is caused by the passion displayed in the post I browsed. And after this post Finally, a motorcycle just for me | AgilePooch Diaries. these remarks look like they are left by brain dead folks? I am extremely impressed along with your writing skills as well as with the structure for your blog.